In this special edition of Weeksville Weekends for Black History Month 2019, A Blade of Grass Fellow Jordan Weber will present his project 4 Malcolm X Greenhouse, centered around a greenhouse he built on the foundation of Malcolm X’s birth home in North Omaha, Nebraska. Inspired by Malcolm X’s legacy of self-empowerment and determination, the project provides a space for the North Omaha community to grow food and medicinal plants, engage in spiritual and contemplative practices, and to transform poverty and pollution into sustainable economies. A community conversation hosted by Weber, Weeksville Heritage Center staff, and Weeksville Artists-in-Residence Keith and Mendi Obadike will follow. 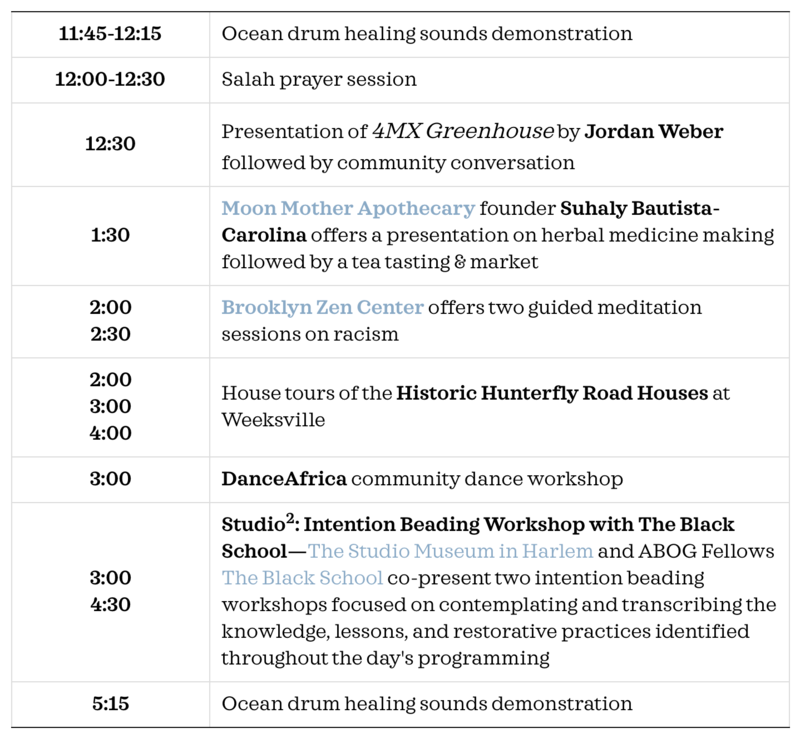 Audiences are then invited to experience interactive sessions with other NYC-based initiatives doing similar work.